Has anyone any experience with these? Can't justify spending on a Garmin but these seem to come in quite reasonably. Are you able to download routes and follow them on this? I've got one and I'm well pleased with it. It's the best thing I've bought for the bike, and the most useful. I wanted a Garmin but couldn't afford one, the Holux is brilliant though. As for sticking routes on it to follow, yes you can, though I've not done it yet. I'm not sure what info you'll get to follow or if it'll just be a breadcrumb trail. I'd be interested to hear from any other users (and I happen to know there are some) on this point. My only regret is that I didn't get the HRM compatible one but as I've said, I was on a budget. Mine's the GPsport 260. This thing and STRAVA have revolutionised my enjoyment of cycling, which was already considerable. My two penneth.... I've had the GPSport 260 Pro with cadence sensor and HRM for a few weeks now. So far I'm very pleased, especially for the price. Like Jim it's given me the ability to start using Strava which I find a great incentive and good fun. As regards to route directions. As you probably know, it has no maps but you can either follow a route that you have already done and have stored or you can create one you want to ride. Additionally you can download one that someone else has done eg. a route for an audax. To create your own route you can do this with Holux's own software (EZTour Planner). Personally I don't particularly like this piece of software and when I did this I used MapmyRide to create the route and saved it as a gpx file. I then opened this gpx file with EZTour Planner and synced it with the 260 Pro. The navigation is via a breadcrumb trail.. a line in the shape of your route with a marker showing wherabouts on the line you are. I've only tried an experimental route doing this but it semed to work fine and was easy to follow. For ride analysis I use the other piece of software that Holux provide... EZTour Plus. This gives details like elevation, gradient, distance, time, speed, heart rate, cadence. To use with Strava you have to save the ride as a gpx file and upload to Strava. Unfortunately, a gpx file does not carry with it the HR and cadence data so Strava won't show this for you. thinking of getting one . being a thicko regarding computers do you have to download the software that comes with it to map the route you have done ? stronginthesun wrote: thinking of getting one . being a thicko regarding computers do you have to download the software that comes with it to map the route you have done ? Right, let's see if I can explain this better.... (this is based on my limited experience of route planning and navigation using the Holux). If you ride a route this gets stored within the Holux until such time as you decide to erase it from the "Log". If you want to ride a route that you haven't already ridden (and have stored in the "Log") you can create one using the software that Holux provide on CD with the device. There are two pieces of software that come on the CD. EZTour Plus gives you the ride analysis tools to view your statistics from the ride. EZTour Planner which provides ability to create a route. In order to use this software you need to be connected to the web as the software needs to connect to Google Maps. You basically use this in a similar way to the way you would use any of the web based mapping sites... MapmyRide, RidewithGPS etc. Once you have created the route you sync the Holux with the EZTour Planner software via the usb connection. I, personally, don't like EZTour Planner and I used MapmyRide to create a route. I saved this route as .gpx file and loaded that into EZTour Planner which I then synced to the Holux. It may sound a bit complicated but is actually quite simple. "Show list" will give you any rides that you have created from the software process explained above. "From history" will give you any ride that you have actually ridden that you have stored in the "Log". Fantastic. Thanks for your replies. think I'll definitely take the plunge and buy one. If you want to use ANT+ connectivity to another device (eg,. HRM, cadence sensor) you need the "Pro" model. The GPSport 260 does not have this capability. The "260 Pro BASIC" model has the ANT+ capability but doesn't come packaged with any sensor. As you have probably seen, Holux do a variety of packages based on the "260 Pro" model with different combinations of sensors. If you have ANT+ sensors already from other devices I believe that they SHOULD work with the "260 Pro". 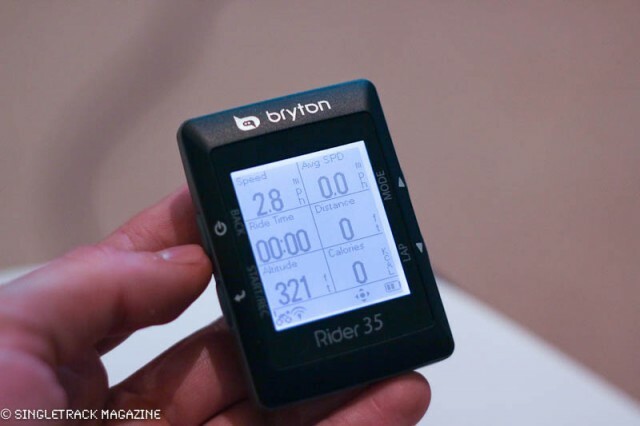 The downside of the Bryton units is that Bryton aren't exactly the quickest at fault fixing and it has taken them a long time to get the navigation function working on the 35 - but it does now work and it's a really neat little device that hardly stands out at all on your bike. If they could tidy up one or two more rough edges it would be a Garmin 500 at Holux prices. 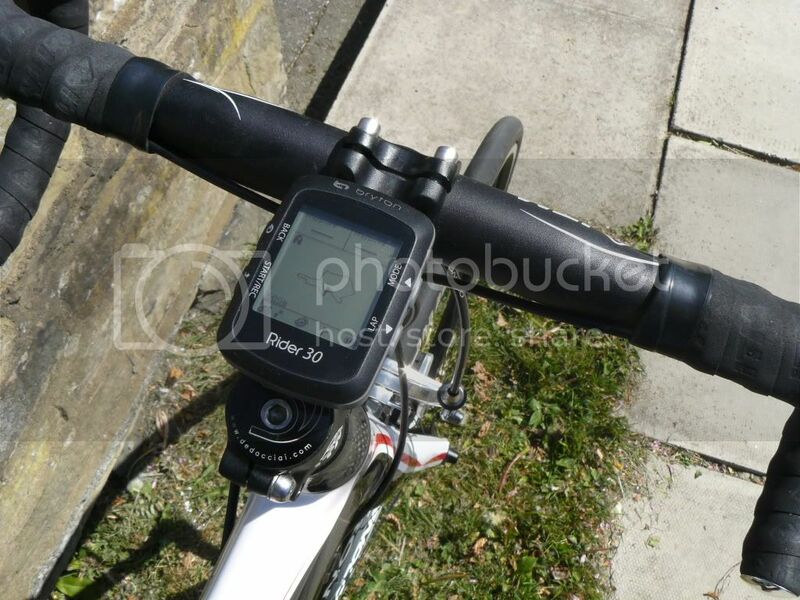 Here is what the earlier 30 looks like on my bike - same unit but more rounded case. Exported gpx files from EZ Tour Plus actually contain cadence and heart rate data. Problem is that they are written in format not recognized by Strava. I have done some googling after being unhappy with this and found out that it is necessary to edit exported gpx so that heart rate data are in Garmin trackpoint extension format. We need to add Garmin track point extension namespace to this tag. 7. Save the file and import to Strava. Heart rate and cadence data are then read and processed by Strava. s1 = "<gpx xmlns=\"http://www.topografix.com/GPX/1/1\" creator=\"HOLUX ezTour Plus\" version=\"1.1\">"
fixes all .gpx in current directory. With the script, I can export gpx files from EZ Tour Plus to a directory where I have this script, double-click on the script file in windows explorer, and upload to Strava. This Strava activity has been created using gpx modified as described above. Last edited by buricl on Sun Nov 16, 2014 06:16 am, edited 1 time in total. One more note, I have Cateye HR-11 heart rate sensor and it works perfectly with 260 Pro. Just to add regarding the bread crumb navigation. Me and a mate do a big ride (for us!) of about 30-40 miles each weekend and use Edge 200s. The breadcrumb navigation sounds well dodgy but we've used it around big towns and cities and it's flawless! Give it a try.